First Regional Library’s Early Childhood Resource Center provides a very special service unique to Mississippi, the Words on Wheels BookWagon! 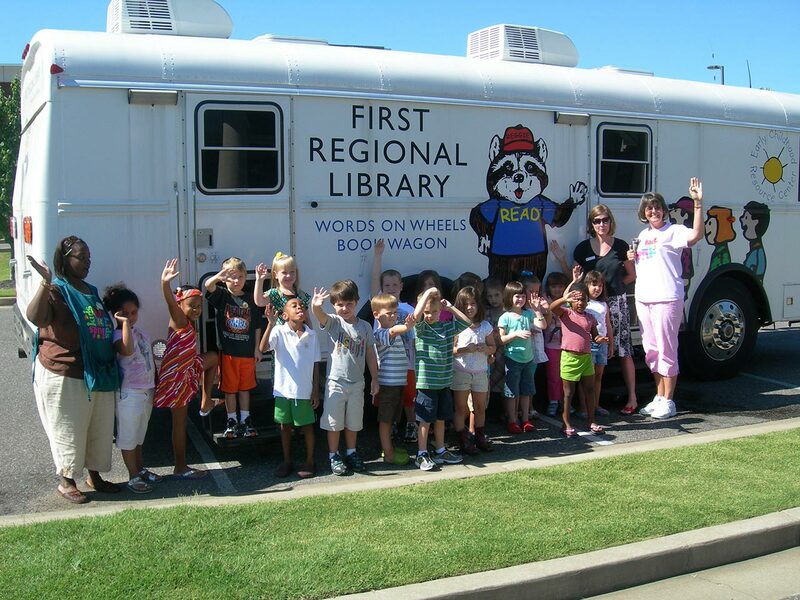 The BookWagon offers a mobile library outreach experience specifically targeted to preschool-age children in our five-county area. Travels to area child care centers. The librarian then invites children and their teachers on board for a special storytime. Teachers and caregivers may check out age-appropriate books and other library materials before the BookWagon rolls down the road to its next stop! First Regional Library strongly believes that reading to young children early and often is the single most important thing that libraries, teachers, and parents can do to encourage lifelong learning. We especially hope the BookWagon will provide a unique opportunity to be exposed to books and reading to children who do not have the chance to visit their local library regularly. Questions? Contact Hanna Lee, Youth Services Coordinator, at hlee@firstregional.org. The Early Childhood Resource Center is located inside the Hernando Public Library. It contains educational and curriculum materials, learning toys and puzzles, and more. First Regional Library also has Family Resource Materials available at the Senatobia, Horn Lake, and Tunica branches. These resources are available when the libraries are open.